About 54 miles northwest of Sun Valley Idaho, in the Copper Basin, my Lezyne phone wallet bounced out of my jersey somewhere on a washboarded sector of the course. It was lost for most of the day. I knew it’d get turned in. Didn’t worry and rode the ride, let people know, and it was waiting for me at the finish. That’s the kind of event Rebecca’s Private Idaho was. 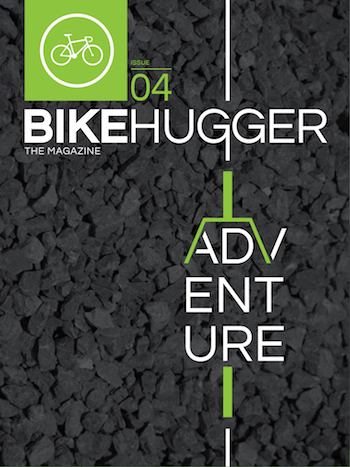 In our 4th issue, I share a gallery of photos from the ride and a few more observations. Reba’s ride was also well-timed for our Adventure Issue. Riding a gravel grinder (an organized ride/race on Forest Service roads) put me right into what’s happening currently with adventure and the bike these days. As Guitar Ted writes for us, cycling has always been about adventure, even before a traffic planner figured out the bike was the most efficient way to move around a city and welcomed “commuters” with bike lanes. Besides sharing the generosity and good karma of the racers, I also learned gravel grinders are for competitors and tourists to ride their own pace. Pfalzgraff just welded a bike for one and learned something about himself. For other types of bike adventure, David Longdon recalls a relay endurance ride and Rob Annis shares the joys of riding solo. Completing the issue is another relationship story from Zanne, Mark V explains the circular problem with wheels, and Patrick Brady recalls recreational riding in the 80s. He shared a Venn diagram that shouldn’t be drawn, the intersection between something we all love and something you’re not allowed to love.